Scientists in Texas have developed a water treatment system that selectively removes contaminants, an advance that could lead to cost and energy savings compared to conventional systems. The Rice University lab of engineer Qilin Li is building a water treatment system that can be tuned to selectively pull toxins from drinking water and wastewater from factories, sewage systems and oil and gas wells. 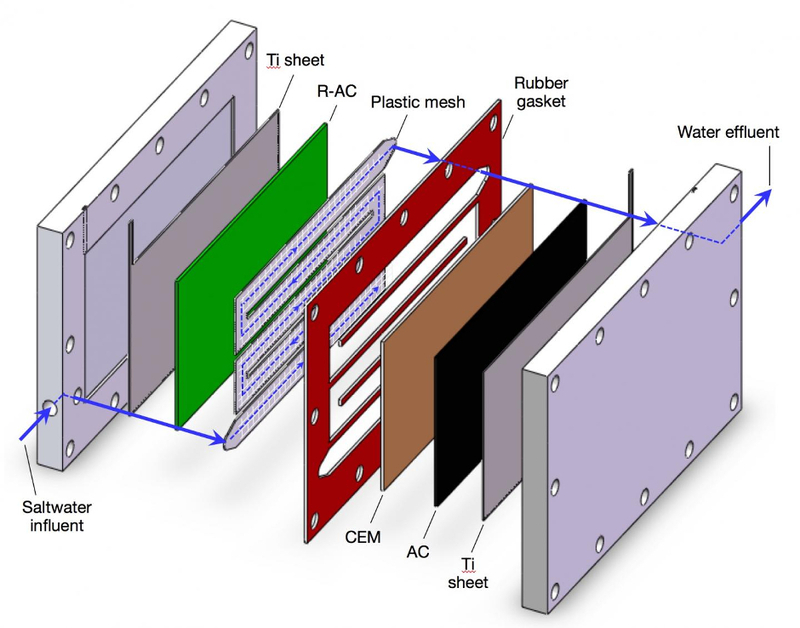 According to Rice, a set of novel composite electrodes that enable capacitive deionisation are central to the system. The charged, porous electrodes selectively pull target ions from fluids passing through it When the pores get filled with toxins, the electrodes can be cleaned, restored to their original capacity and reused. 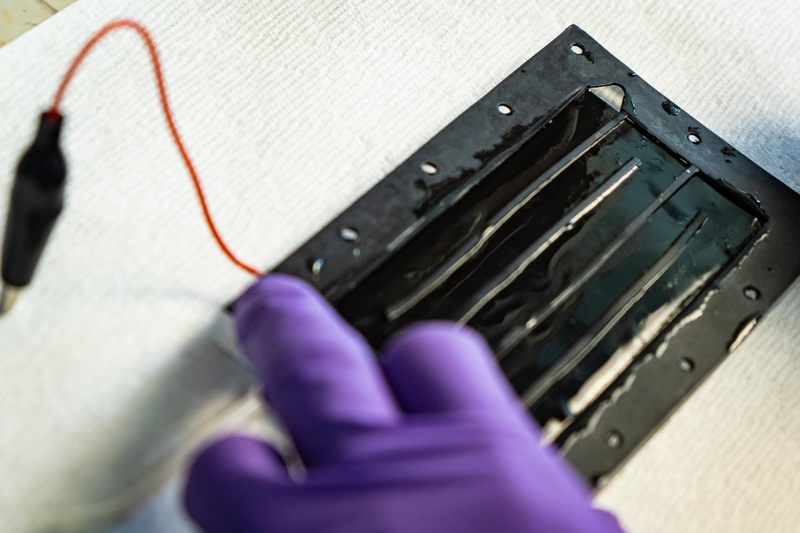 “This is part of a broad scope of research to figure out ways to selectively remove ionic contaminants,” said Li, a professor of civil and environmental engineering and of materials science and nanoengineering. “There are a lot of ions in water. Not everything is toxic. For example, sodium chloride is perfectly benign. We don’t have to remove it unless the concentration gets too high. The proof-of-principal system removed sulphate ions, a scale-forming mineral. The water treatment system’s electrodes were coated with activated carbon, which was then coated by a thin film of resin particles held together by quaternized polyvinyl alcohol. When sulphate-contaminated water flowed through a channel between the charged electrodes, sulphate ions were attracted by the electrodes, passed through the resin coating and stuck to the carbon. Tests in the Rice lab showed the positively charged coating on the cathode captured sulphate ions over salt at a ratio of over 20 to 1. The Rice team is developing coatings for other contaminants and working with labs at the University of Texas at El Paso and Arizona State University on large-scale test systems. Zuo said it should also be possible to scale systems down for water purification in homes.